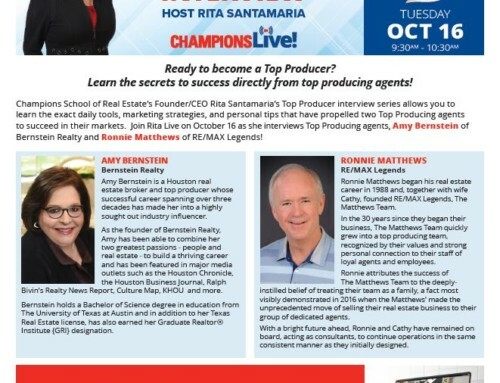 Bernstein Realty’s Sondra Rosenthal is recognized this weekend in the Houston Chronicle. We are so proud of Sondra for all of her hard work and dedication. See the article below or online here. When perspective buyers are visiting a home, they often may not be able to see their furniture there, or possibly have an oversized piece not sure where it will fit. “My first career was in furniture sales and interior design, so I have an eye for furniture and furniture placement. When clients are looking at a home, they may describe a piece of furniture they are worried about finding a place for, and I always know what they are talking about. So I am able to provide suggestions, and they appreciate my experience,” said Sondra Rosenthal, a Realtor with Bernstein Realty. 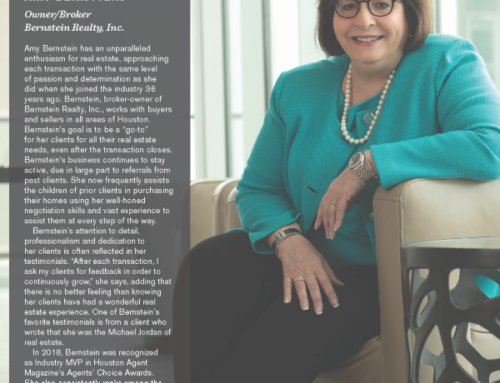 After spending a few decades at her family’s furniture store in interior design and sales, helping customers decorate their homes, real estate was the natural next step for Rosenthal’s career. “I am so glad I made the switch to real estate 10 years ago. I love working with clients and love what I do. 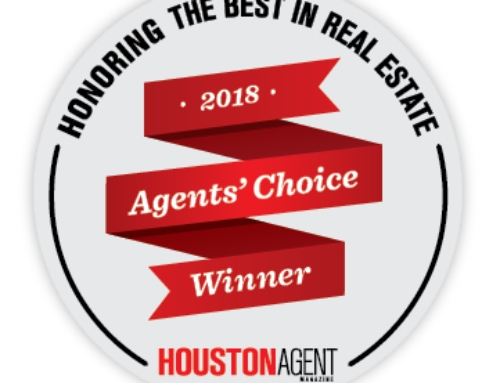 I wake up every morning ready to go, which is great because Houston’s market is really strong and fast paced,” Rosenthal said. One idea that is tossed around quite a bit for those preparing to list their home is decluttering. “When Realtors say declutter, that means to clean out closets and make them neat and store any items not being used. Remove items from countertops and shelves, and those items not necessary. Put away valuables, such as jewelry and keepsakes. Also, store family photos. One or two family photos are OK, because it will make it feel like a home and not just a house,” Rosenthal said. Rosenthal is a Houston native and knows the city like the back of her hand. However, her main focus area is around her home turf. “My main areas are West University, Meyerland and Bellaire. I have lived in West U for over 30 years and grew up in Meyerland, so this is my home area. Yet, I work in all areas in and around Houston. 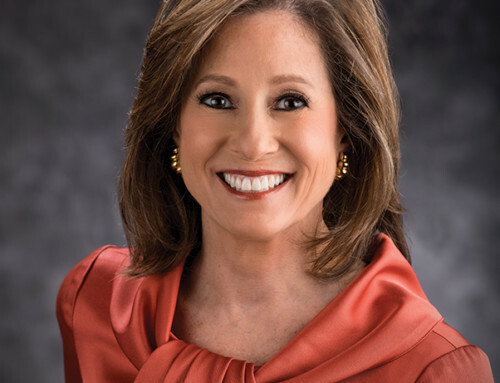 I go where my clients are interested, and I know the communities and neighborhoods,” Rosenthal said. 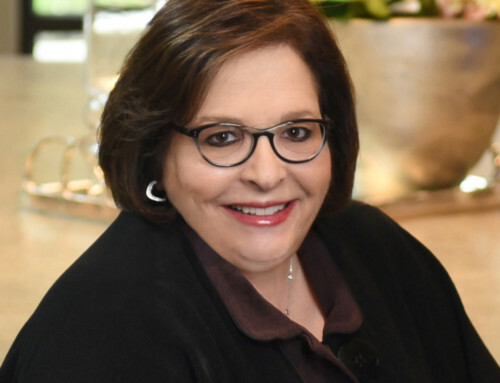 Rosenthal is known for working hard for her clients, and determined to meet their goals. Her enthusiasm, and communication and negotiation skills are also well known. Yet, her love of people is what most notice and appreciate first. 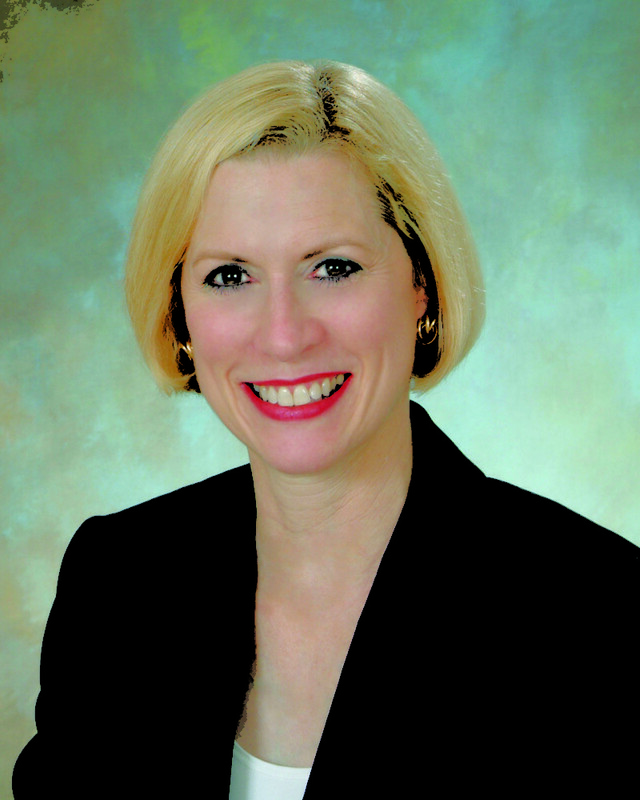 All of her experience has led to numerous awards, which include being the Top Leasing, Top Sales and Top Buyer agent. She also received the Achievement of Excellence Award, which is presented to only the company’s top five agents. 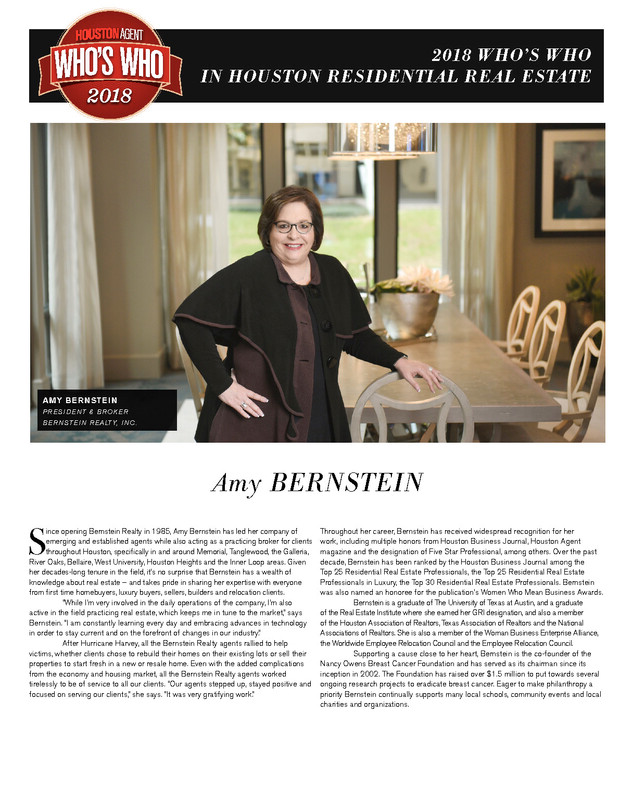 “Amy Bernstein is an excellent role model and I sincerely appreciate being part of this family.  The staff is wonderful and the support is great, which make it possible for me to focus on my clients and their goals. That is what is most important,” Rosenthal said.